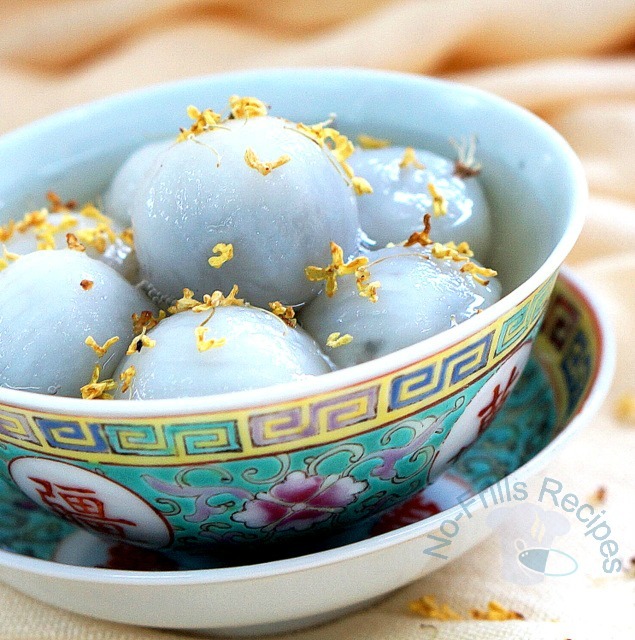 Winter Solstice or Dongzhi festival is here again and it's time to make tang yuan. This time I tweaked it a bit by stuffing the glutinous rice ball with some black sesame paste and cooked Osmanthus syrup to pair with it. This year the Winter Solstice festival falls on Tuesday, 22nd December. Mix the glutinous rice flour and water to form a dough, cover with clingwrap and refrigerate overnight. (You may need a little more or a little less water). 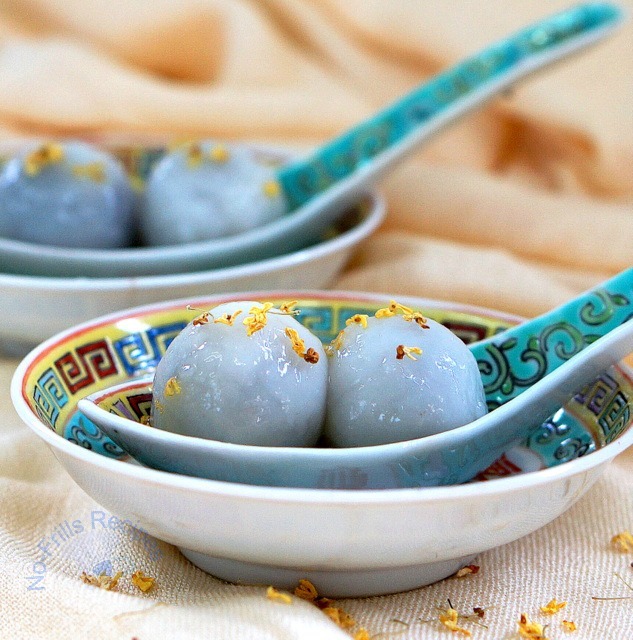 Knead lightly, form into balls of dough and put in the black sesame filling in each of the balls of dough. Meanwhile, make the syrup by boiling water and adding in the smashed ginger. 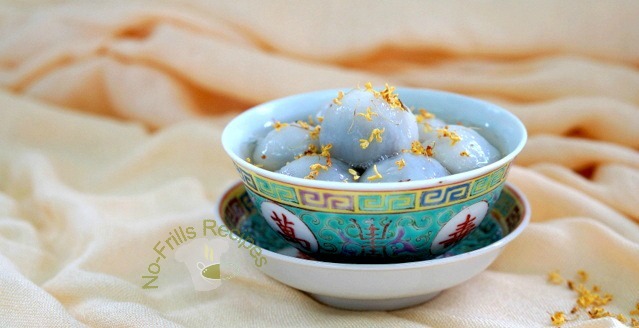 Add in the Osmanthus flowers, sugar to taste, set aside. In another pot boil some water and once boiling, dump in the balls of dough. Once they float up, scoop them up and put in serving bowls. Ladle in the syrup. 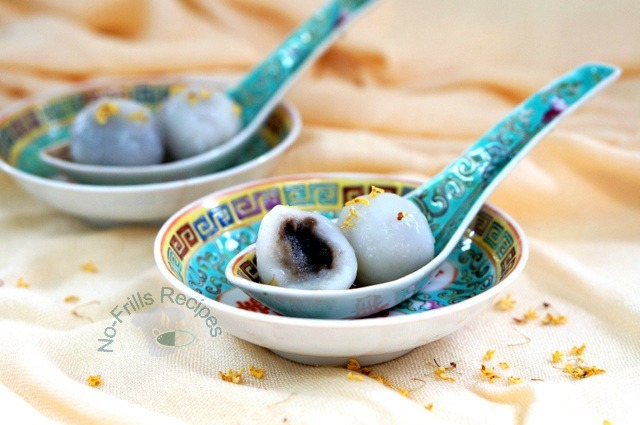 Cheah, love your styling and photography of the tang yuan! I remember when I was a kid, tang yuan was just plain with no fillings and it was always red, green and white. These days there are so many types of fillings and different variations of syrup. Do enjoy your holiday and I wish you a Merry Christmas and Happy New Year! So yum! I love the black sesame filling, Cheah. I love this type of sweets, especially the black sesame filling. I'm going to try this recipe soon! Gorgeous pics! Thank you for the compliment. Hope you'll enjoy this dessert as much as I do!